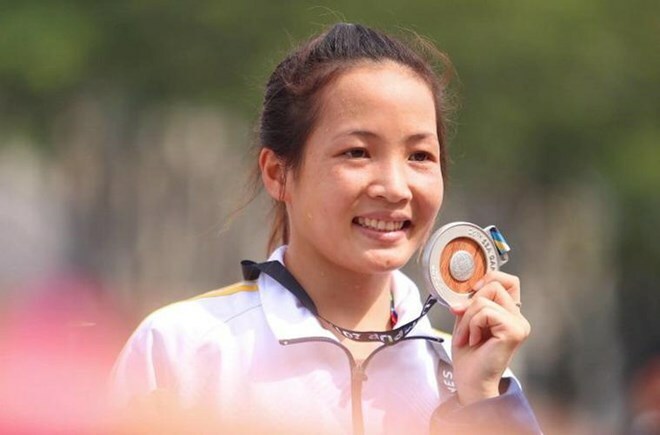 Kuala Lumpur (VNA) – Vietnamese runner Hoang Thi Thanh on August 19 grabbed a silver medal in the women’s marathon event at the 29th Southeast Asian (SEA) Games in Malaysia. Thanh won a bronze medal at the previous games in Singapore in 2015. She is currently a national record holder with a time of 2:45:9. Also on August 19, Minister of Culture, Sports and Tourism Nguyen Ngoc Thien, accompanied by Vietnamese Ambassador to Malaysia Le Quy Quynh, visited the Vietnamese sport delegation at Berjaya Times Squares Hotel. The minister said that Vietnamese athletes should promote the images of Vietnam and its people, while fostering solidarity and friendship with ASEAN countries. He also expressed his hope that the delegation will achieve the best results in the games. Meanwhile, Ambassador Le Quy Quynh said the Embassy of Vietnam in Malaysia will create favourable conditions for the delegation. The opening ceremony of SEA Games 29 is scheduled to kick off at 7pm (Vietnam time). Delegations of 11 Southeast Asian nations will join a parade, which will be followed by an art performance show.